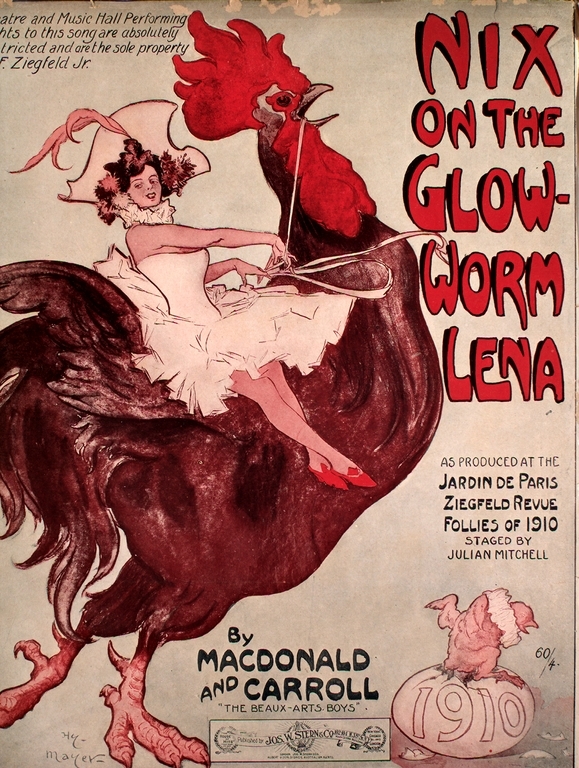 Late in 1920, Eddie Cantor introduced “Lena from Palesteena” in George LeMaire’s “Broadway Brevities of 1920.” But the character of Lena Strauss in the song was borrowed by its composers from a 1910 Ziegfeld Follies song by Ballard McDonald and Harry Carroll, “Nix on the Glow-Worm Lena.” The 1910 song introduced Lena, who played “The Glow-Worm” on her concertina until the other boarders in her boarding house couldn’t take it. And, it seems, Lena’s comic character was still remembered in 1920. 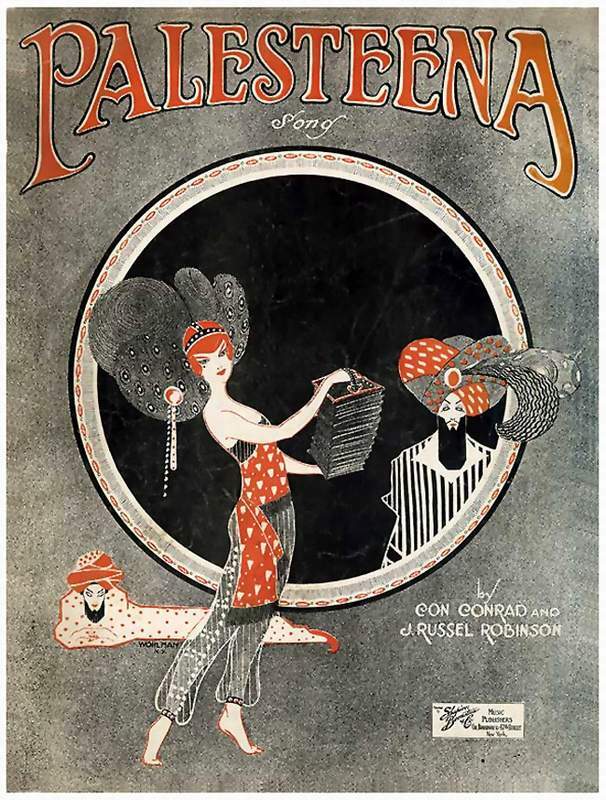 The 1910 song was introduced in the Ziegfeld production by Grace Tyson, and was recorded in 1910 for Victor by Ada Jones, and also by Billy Murray. 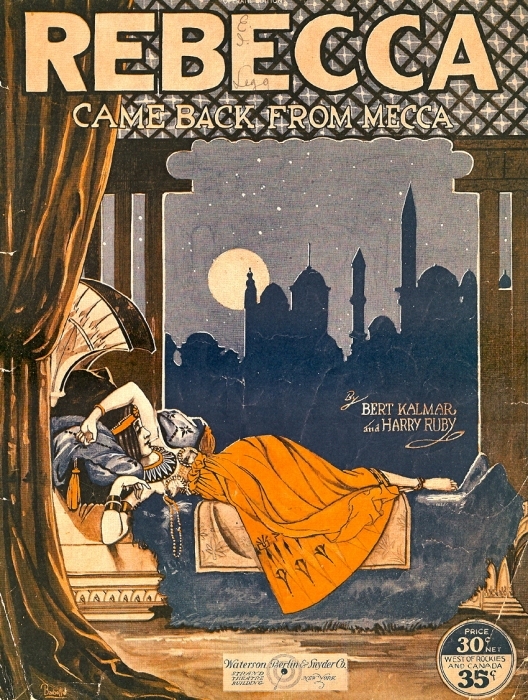 Rebecca Came Back From Mecca (Bert Kalmar, Harry Ruby), published in 1921, appears to be a spin-off of Palesteena. * The Discography of American Historical Recordings dates the recording 1 October 1920, while the Online Discographical Project gives the recording date as 2 October 1920. ** Based upon information provided by Gramophon Online and elsewhere regarding the record, I’ve conjectured that the appended “2” in the catalog number of the side of the record containing “Palesteena” (5332/2) indicates that it is the B-side, and that the unidentified A-side would be 5331/1.